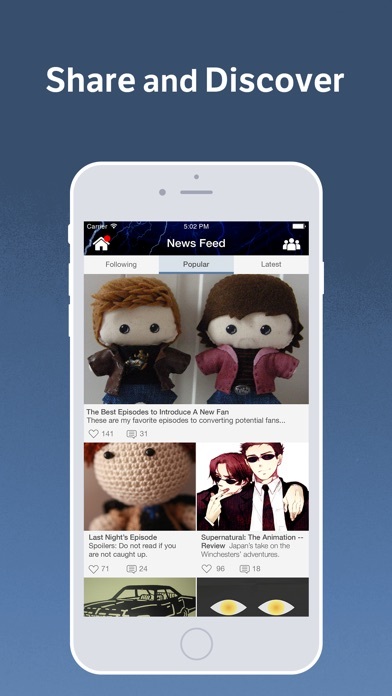 Supernatural Amino is the largest mobile social network for Supernatural fans! - Discover Supernatural fan art, photos, writing, and cosplay. 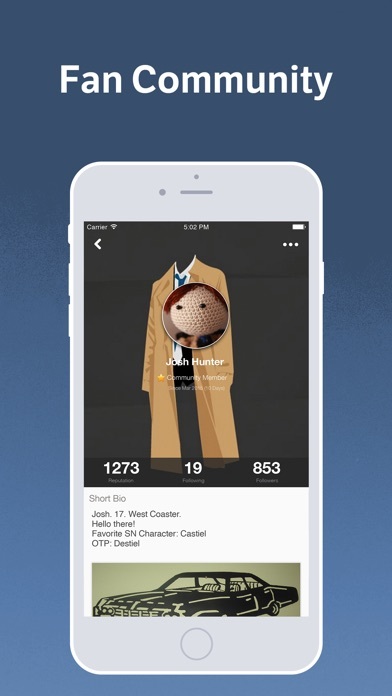 Discover other Supernatural fans nearby and around the world who share your passion for Sam, Dean, Castiel, the Impala, Bobby Singer, Azazel, Lilith, Lucifer, Leviathans, Crowley, and Melatron. Post and read episode reviews, recaps, fan theories, and join discussions on your favorite Supernatural series. 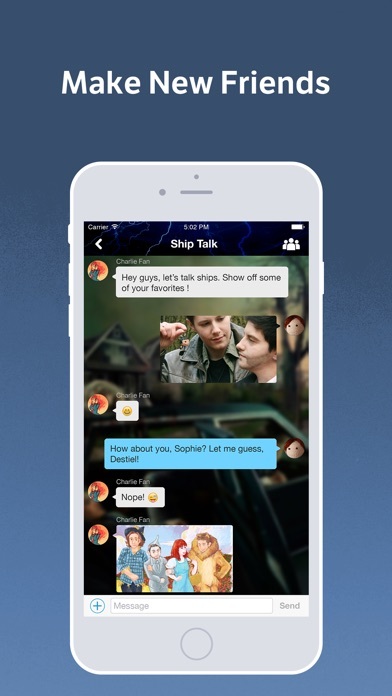 Ask and answer questions on the fly and search for expert answers on everything about Supernatural. If you love SPN, the CW, Jared Padelecki, Jensen Ackles, Superwholock, Sam Winchester, Dean Winchester, Castiel, Hunters, Demons, anti possession tattoos, shape-shifters, werewolves, angels, vampires, zombies, ghouls, wraiths, witches, or any other aspect of the Supernatural universe, this is the right community for you!